Been seeing this a lot lately. 1008x [ADDON_ACTION_FORBIDDEN] AddOn 'HandyNotes' tried to call the protected function 'UseQuestLogSpecialItem()'. 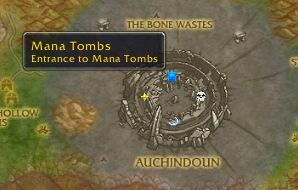 Will this addon be updated for 8.1? Or is it abandoned? I clicked the download latest version at the top of this page but the version I got still had the LUA settings for HBD 1.0 and not 2.0. I have manually changed the LUA files on following files 4 files. Cannot find a library instance of "HereBeDragons-1.0". (*temporary) = "Cannot find a library instance of "HereBeDragons-1.0"." Something I would like to see implemented is an alteration with the custom waypoints icons. Keep the same predefined list but, perhaps add a custom option at the very bottom so the user can enter an ID to an icon. ie: HandyNotes_Trainers is still using HBD-1.0 so it's not working for BFA so I have to create waypoints for each trainer, etc in Boralus/Dazar'alor. All the profession trainers are using the profession trainer icon but, it would be nice to be able to use the LW icon for the trainer, etc. In the description we see 3 ways to create a new note. For some reason, the first way does not work for me. Two other ways work, but they do not allow to create a new note in a non-current zone map. Can we have a command line way to create a new note in arbitrary zone without going there to make it current? I'm interested in developing a plugin but struggling to find information/code examples. Is there a reference site/document for the plugin API available? Alternately, what is the protocol for modifying existing plugins? Thank you. HandyNotes doesn't seem to add the icons to the MiniMap but it does world map, am I doing something wrong here? I have the same problem and filed Issue #86 about it. The add note window opens behind the World Map, you can workaround this by minimizing the World Map. I've hacked my local copy of HandyNotes to do this automatically by adding OpenQuestLog() after the if statement in HN.OnCanvasClicked. Message: ...AddOns\HandyNotes\Libs\AceEvent-3.0\AceEvent-3.0.lua:33: Attempt to register unknown event "CLOSE_WORLD_MAP"
Stack: ...AddOns\HandyNotes\Libs\AceEvent-3.0\AceEvent-3.0.lua:33: Attempt to register unknown event "CLOSE_WORLD_MAP"